The thundering of horses' hooves are heard below Tempe Butte. A volunteer cavalry rolls into Mill Ave like something straight out of a Clint Eastwood Western. Although this may not have been a normal sight in Tempe, the Peterson building did see its fair share of rough riders. This building was constructed in 1898 by Niels Peterson, a farmer and rancher who was one of the first Tempe pioneers. This was the same year that tensions between Spain and the US started the Spanish-American War. The second floor of the building doubled as barracks for the volunteer cavalry stationed in Tempe. Throughout the years, the building was renovated and the interior changed. Just to the west of the Chipman-Peterson Building is the Cutler building. When designing the Cutler building, the architects strove to uphold the historic integrity of the nearby buildings. When completed in 1983, the building mimicked the Chipman-Peterson building in scale, size, and materials. The 1980s saw a massive change in redevelopment to include preservation. In the years prior, redevelopment of the Downtown area meant bulldozing older buildings and starting anew. 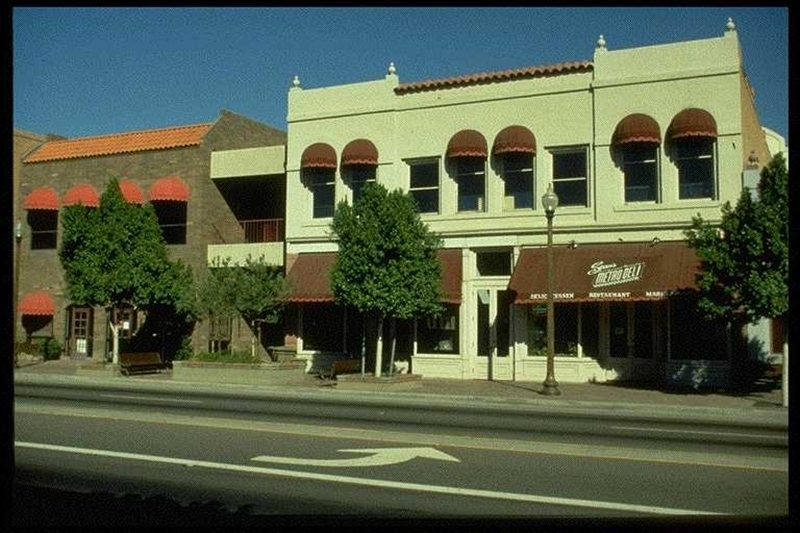 This all changed when the Tempe government was given federal incentives to preserve, renovate, and reuse older, historically significant buildings. The Casa Loma Hotel, the Vienna Bakery, and the Chipman-Peterson buildings were all brought up to safety code and preserved. These safety features saved both the Casa Loma Hotel and Vienna Bakery from being completed destroyed in fires. 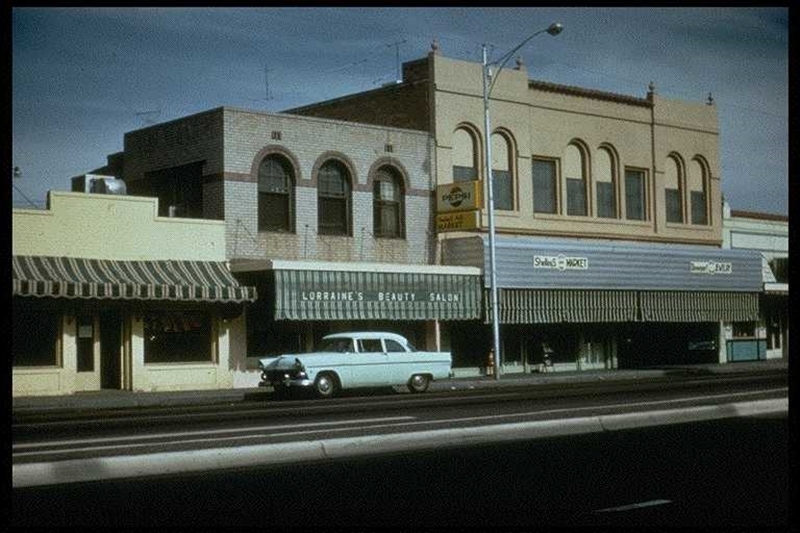 However, the Chipman-Peterson building was not so lucky, meeting the fate of many older buildings in Tempe. Almost completely destroyed in a fire in 1990, the Chipman-Peterson building was completely reconstructed to recall the original building. There was, however, a positive outcome to what seemed like such a tragic loss of historical integrity. The neighboring Vienna Bakery's west facing wall, blocked by the Peterson building, was revealed after the fire. The wall contained an original advertisement for a hardware store that was housed in the Vienna Bakery building dating back to before 1898. It just goes to show that every dark cloud has a silver lining. Apartments Chipman, 1973: Reminiscent of its use as barracks in the late 1800s, the Chipman-Peterson building housed apartments on its second floor before its renovation in the 1980s. Courtesy of the Tempe History Museum. ~ Source: Photo courtesy of Tempe History Museum. ~ Creator: City of Tempe Community Development Department. Apartments Chipman - 411 South Mill Avenue, Tempe, Arizona. Photograph, June 6, 1973. 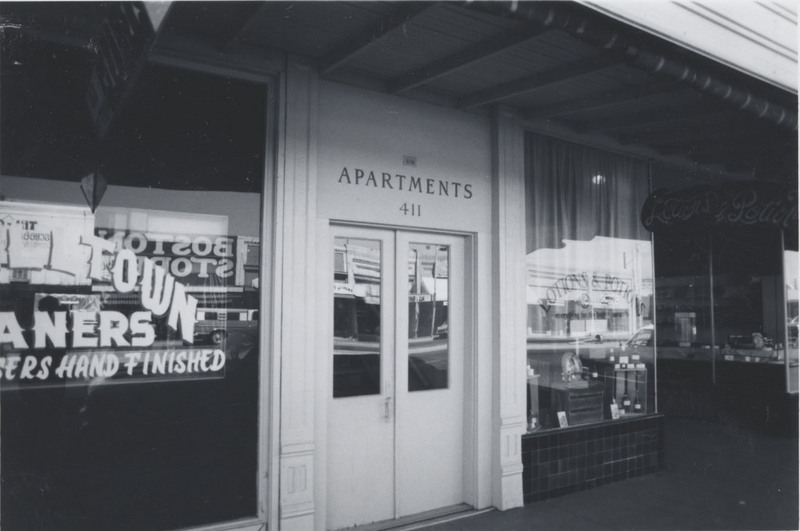 Holly Solis, Jacquelyn George, and Salt River Stories Team, “Chipman - Peterson and Cutler Buildings,” Salt River Stories, accessed April 20, 2019, https://saltriverstories.org/items/show/58.